On a rousing first day of the 25th session of the UNHRC, representatives of the UK, Canada and the European Union all made strong statements calling for an international investigation into war crimes in Sri Lanka. In his opening statement to the Session, UN Secretary General Ban Ki-Moon welcomed Navi Pillay' s report on Sri Lanka, and sounded a warning note that the Council was keeping an eye on human rights abusers. This raised a few eyebrows, but is unsurprising considering the fact that Sri Lanka was also raised in the High Commissioners Annual Report. Nevertheless, this is a signal of the importance of this resolution on the HRC agenda. The UK's statement, made by FCO Minister Hugo Swire, followed up on the pledge made by Prime Minister David Cameron last November, after his visit to Sri Lanka. At the time, the PM called for CHOGM to support an international investigation on Sri Lanka. Swire said, "The Government of Sri Lanka has failed to ensure independent and credible investigations into alleged violations and abuses committed by both parties during the conflict in Sri Lanka." The breadth of the UK effort was reflected on social media, where a number of UK embassies picked up on Sri Lanka. TAG's realtime analytics of social media even showed Foreign Secretary William Hague and the British Foreign Office in London as the 2nd and 3rd biggest "influencers" on Sri Lanka at HRC 25. The social media interest was also picked up by other EU embassies, such as Sweden in Geneva (@SwedenGeneva). The buzz wasn't restricted to this side of the Atlantic, though. Lynne Yelich, the Canadian Minister of State for Foreign Affairs and Consular, highlighted the failure of Sri Lanka's previously appointed domestic mechanisms, calling them “secret, partial or unfilled." The EU representative to the Human Rights Council, Greek Deputy Foreign Minister Dimitris Kourkalas, also hit out at the Government of Sri Lanka. ‪“In Sri Lanka, where the High Commissioner has just issued her report, it is vital that the full truth of past events is made known and accountability be pursued, for this is the only way for stability,” he said. 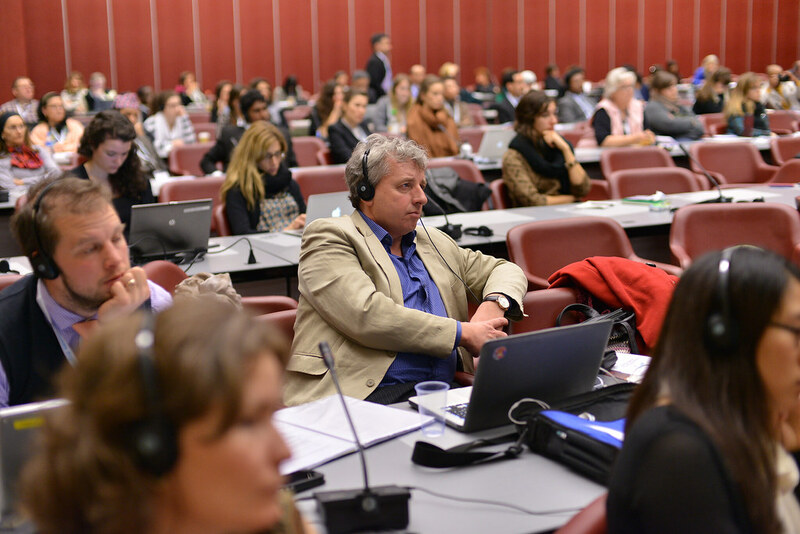 You can follow Tamil Guardian's coverage of the First Day of the HRC session from Geneva here. As if these strong remarks in the Human Rights Council weren't enough, they were soon followed by the leaking of the First Draft of the Resolution on Sri Lanka. Sponsored by the UK, USA, FYR - Macedonia, Montenegro and Mauritius, the Draft Resolution makes no specific mention of an international commission of inquiry. however, it does seek to keep the Office of the UN High Commissioner engaged with the issue in an investigative capacity until the 28th session of the UNHRC. 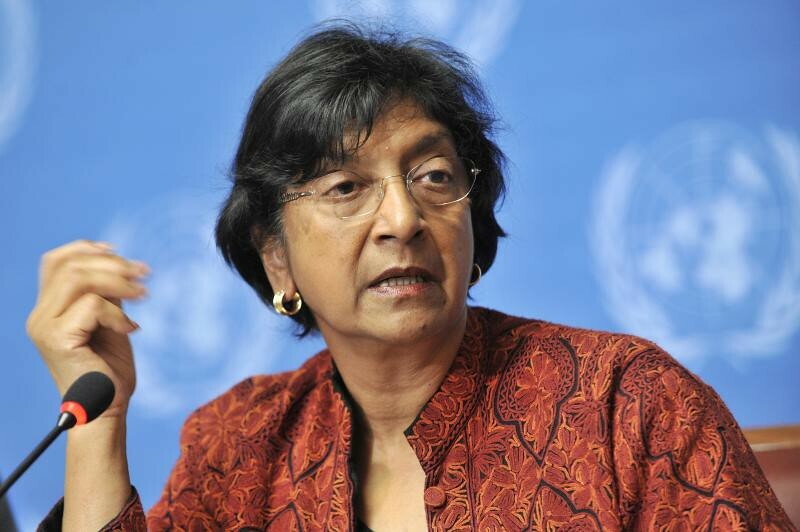 Unfortunately, the strong words of UNHRC members on the first day have not translated into action in this first draft of the Resolution, which falls short of the international investigation Navi Pillay called for. ‪TAG reiterates our call for an International investigation into war crimes, crimes against humanity and genocide. We believe that the Sri Lankan state has the intent to destroy, and is indeed actively engaged in destroying, the essential foundations of life of the Tamil people. We stress the urgent need to halt the current process of Sinhalisation through militarisation and other forced demographic change. Make sure to stay up to date with our day-by-day coverage, with our Summary of Day 2.